Welcome to Seattle! 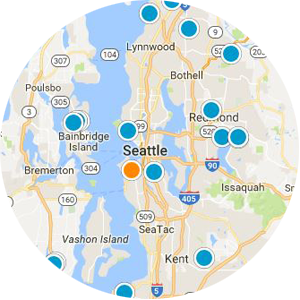 Let's find the perfect Seattle neighborhood and home for you. 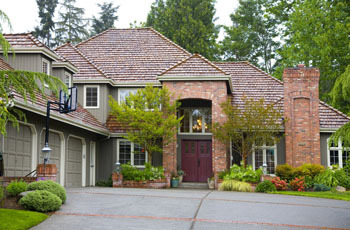 The greater Seattle region offers many different kinds of neighborhoods and different styles of real estate. From the busy lifestyle of downtown to quiet residential suburbs on the Eastside, there's something for everyone. 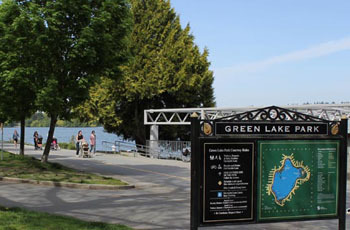 Seattle's center includes the downtown core, Queen Anne and Magnolia to the Northwest, and the Eastern neighborhoods of Capitol Hill and Madison Park heading toward Lake Washington. 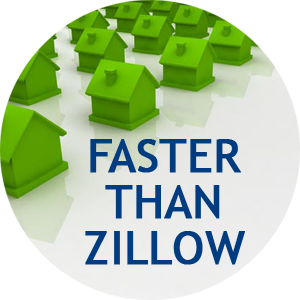 These central areas range from high-rise condos to residential neighborhoods with single-family homes. With quick access to the entertainment, business, and retail opportunities of downtown Seattle, property values near Seattle's center are strong. 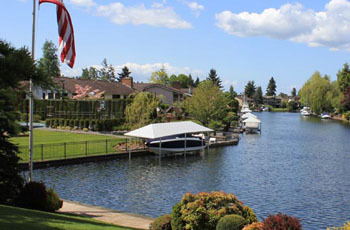 Extending from the ship canal to N 145th St, North Seattle includes many of the city's most popular neighborhoods. From Green Lake to Ballard, Fremont and Phinney Ridge, the dozens of North Seattle neighborhoods are well-loved by locals. Many areas have their own retail and dining cores, giving a distinct small-town feel while still being just minutes from downtown. The University of Washington, Green Lake Park, Gas Works Park, and Golden Gardens are just some of the places that give North Seattle its attractive environment. The original inhabitants of Seattle landed on a peninsula just west of downtown, later to become West Seattle. While just a few minutes from the city core, West Seattle feels like its own city. 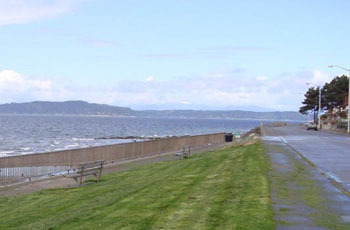 Popular waterfront neighborhoods like Alki and Beach Drive attract visitors from across the city. Admiral has some of the most historic and upscale homes in the area. The Junction is the center of West Seattle's retail and entertainment, with a wide range of unique local businesses. 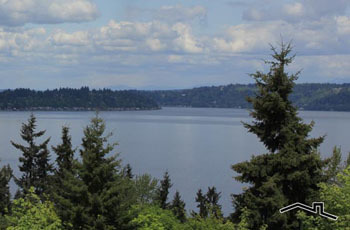 West Seattle's many West-facing neighborhoods have magnificent views of Puget Sound and the islands. Bustling South Seattle has a wide range of neighborhoods, from unique and busy to quiet waterfront locations. 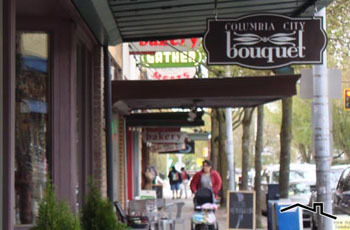 Columbia City and Beacon Hill offer residents plenty of local restaurants and entertainment. Seward Park and Rainier Beach transition from busy city streets to placid lakefront locations with plentiful beaches and park access. 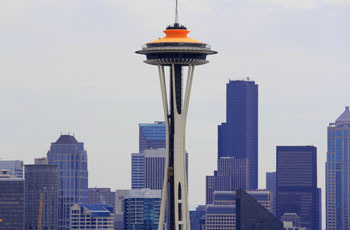 Seattle's annual Seafair celebration is situated on the South Seattle shoreline. Just minutes from SeaTac Airport, South Seattle can be an ideal location for travelling commuters. 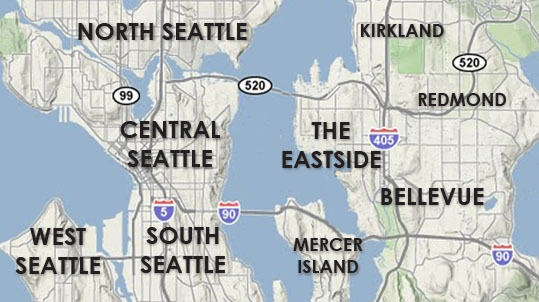 The Eastside is the common local reference for all of the cities in the Seattle metro that are East of Lake Washington. Bellevue, Kirkland, Redmond, Issaquah, and other nearby cities make up the Eastside. Many of the region's high-tech companies are located here. While much of the Eastside is suburban neighborhoods with single family homes, there are urban cores within many of its cities. The local school districts rank as some of the best in the nation. 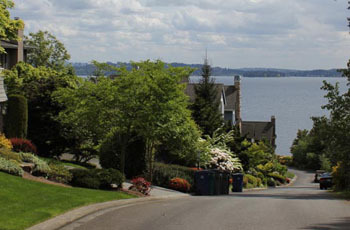 The second-largest city in the greater Seattle area, Bellevue is an upscale Eastside location. Downtown Bellevue is a regional magnet because of its business climate and iconic shopping destinations. Just West of downtown, waterfront locations like Meydenbaurer, Medina, and the Points house some of the top luxury properties in the Northwest. Bellevue extends East to Lake Sammamish and South to the hills of Somerset, Cougar Mountain, and Lakemont. Bellevue School District is regularly top-ranked by national publications. 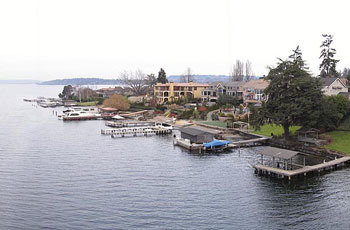 Just North of Bellevue, Kirkland sits along the Lake Washington shoreline just minutes from Seattle. 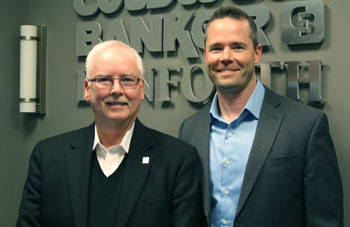 Tech business is thriving in Kirkland. Its downtown sits alongside a waterfront park setting, and has a small-town feel with many local restaurants and businesses. Kirkland's downtown has a number of condo buildings, while most of the rest of the city is single family homes in residential neighborhoods. Famous as the home of Microsoft, Redmond is really a suburban city. Microsoft's campus population booms during the day, and the area has become home to many high tech workers in the region. Its downtown has a classic old-town feel, with more contemporary shopping and dining choices nearby. Redmond has many miles of bike paths and park, including Marymoor Park on the shores of Lake Sammamish. 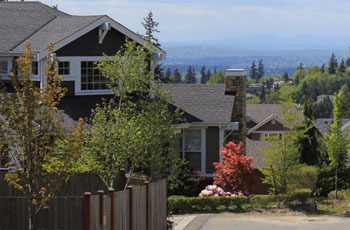 Redmond's neighborhoods have strong real estate values. Living on "The Rock" is like straddling the Seattle and the Eastside. Mercer Island residents commute quickly to either side of Lake Washington across the I-90 floating bridges. The pace of life on the island is much slower, though. Local businesses make up the small commercial centers on the North and South ends of the island. 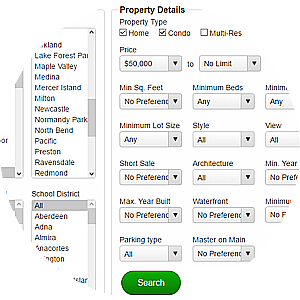 Waterfront homes include some of the most luxurious properties in the Seattle region. There are a few condos on the North end of the island, but the neighborhoods are made up almost exclusively of houses. Just a bit further East on I-90, Issaquah sits at the Southern shore of Lake Sammamish. Downtown Issaquah is a historic location with many unique local restaurants. Traditional neighborhoods surround the area, giving way to newer developments to the East. Issaquah Highlands is one of the fastest-growing neighborhoods in the area, with plenty of new-construction homes being built every year. Sammamish sits on a plateau on the Eastside, while its west end reaches the shores of East Lake Sammamish. Many residents of Sammamish commute to Eastside locations for work, and the schools as well as the residential neighborhoods are highly regarded. Homes range from small houses to large lakefront estates. Listing courtesy of Piper Finlay Real Estate. Listing courtesy of People's Real Estate Inc.